Wellwater Conspiracy is a trio that consists of drummer Ted Dameron, singer Zeb, and John Paul McBain on guitar. 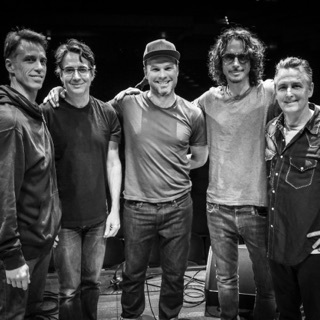 If the first two names sound familiar to Soundgarden fans, that's because it's none other than former members Matt Cameron and Ben Shepherd going by aliases. 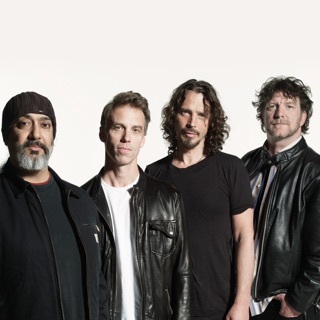 Joining them is ex-Monster Magnet member John Paul McBain, and the group destroys all preconceptions of what a Soundgarden/Monster Magnet supergroup would sound like. It's understandable to think that it would be like Sabbath, but their debut, Declaration of Conformity, is anything but grinding metal. The group first came together in the side project Hater (with two other members), who released an album on A&M in 1993. Although Hater's sound is similar at times to Wellwater Conspiracy, it doesn't possess the same depth and focus. Some may dismiss Wellwater's sound as "lo-fi," but the songs are recorded with creativity, as the group manages to achieve loads of interesting, yet classic, sounds on their debut.